PUMA Women's Hoodie Just $28.99! Down From $60! Shipped! 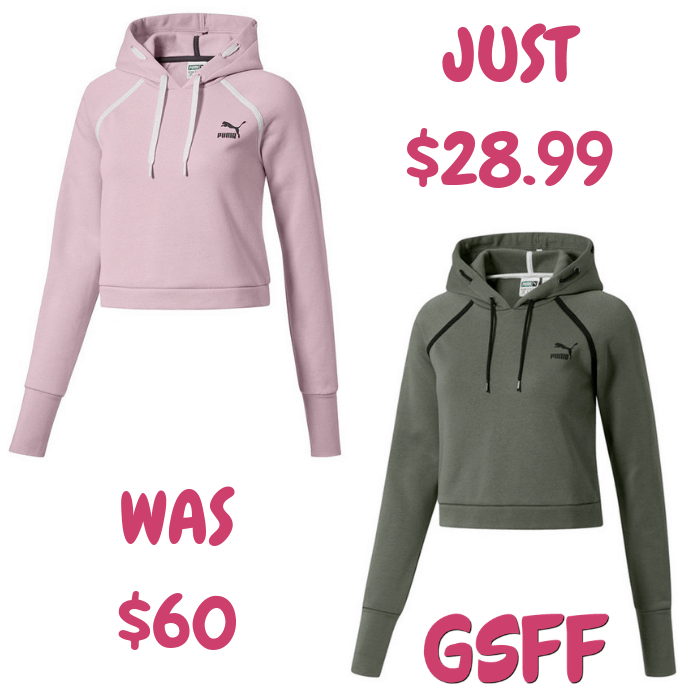 You are here: Home / Great Deals / PUMA Women’s Hoodie Just $28.99! Down From $60! Shipped! PUMA Women’s Hoodie Just $28.99! Down From $60! Shipped! For a limited time only! Right now at Proozy, you can score this PUMA Women’s Hoodie for just $28.99 down from $60 when you use promo code PZY2899 at checkout PLUS FREE shipping! The perfect cropped hoodie for the gym featuring the PUMA logo for stylish effect. It makes a great gift too!